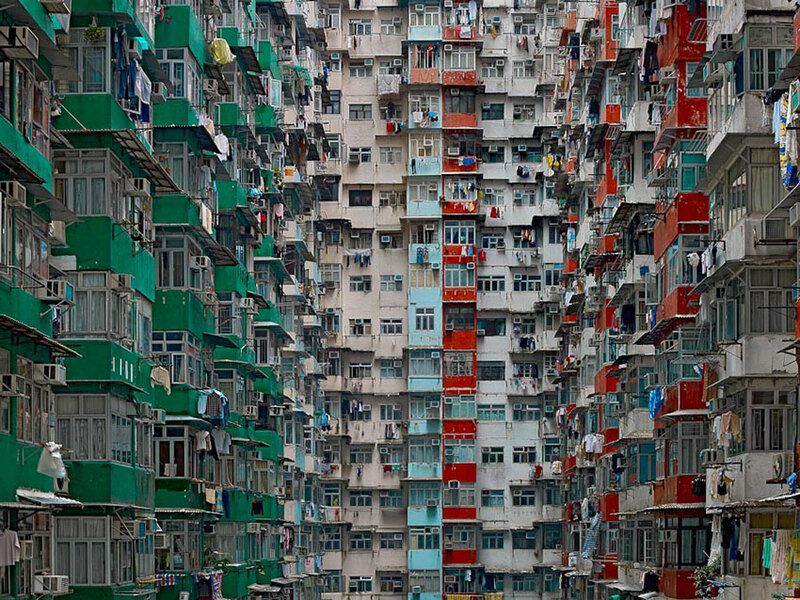 German photographer Michael wolf captured in his serie “Architecture of Density”, images that acutely acknowledge the landscape’s overwhelming concentration of soaring buildings and skyscrapers in Hong Kong. 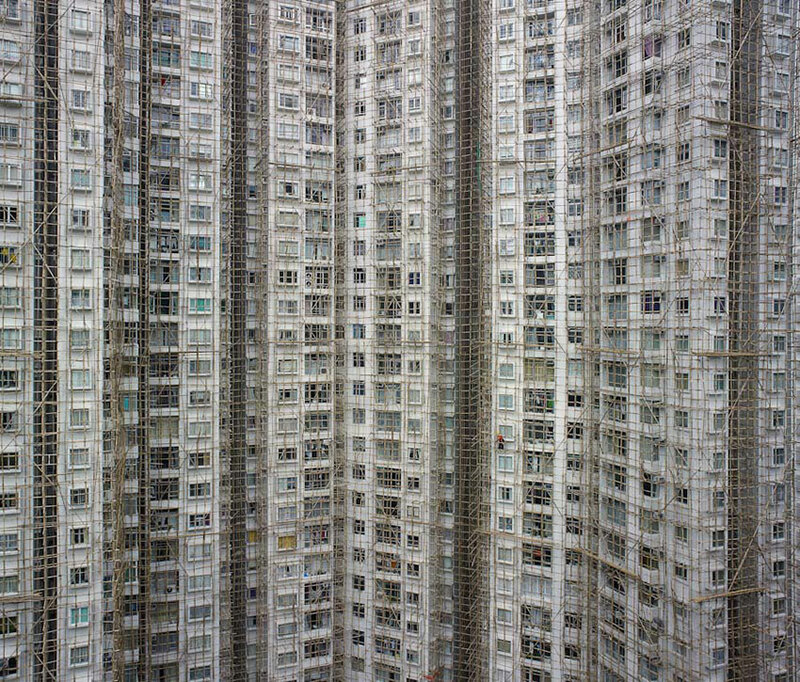 In this series, Wolf started studying the city of Hong Kong in a personal way after the SARS outbreak in 2002. Despite having lived eight years in the city as a photojournalist for the German magazine Stern, he had never completed a personal project. 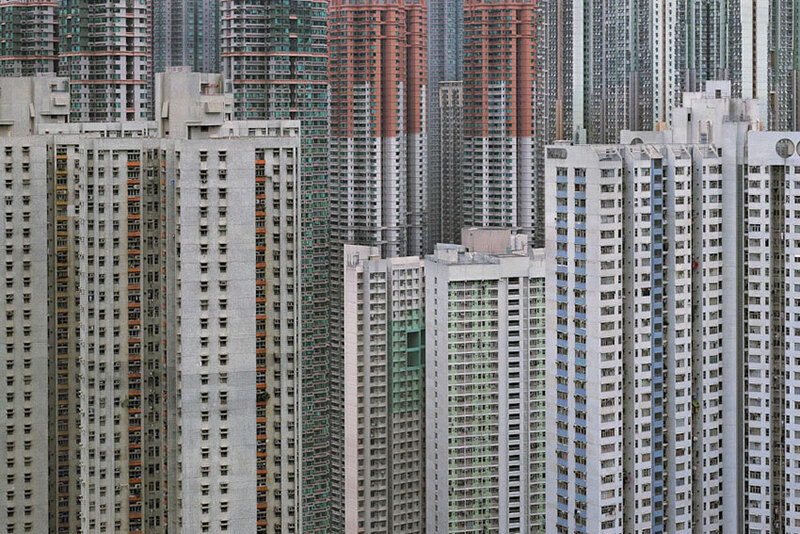 The project turned into an intricate and meticulous study of the megacity. 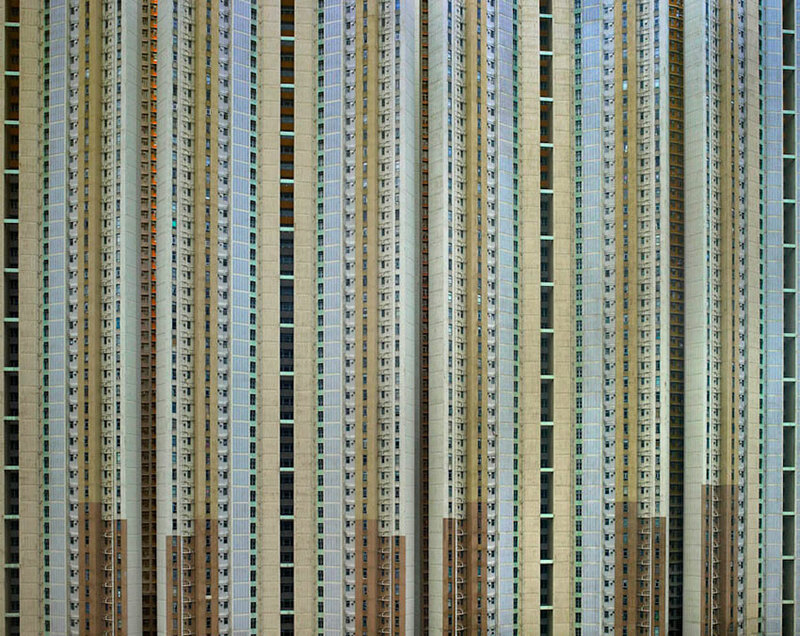 “Architecture of density” is a collection of large scale works, which focuses on repetition of pattern and form to cause an infinitely complex visual reaction and rediscovers the city scenes by highlighting its forest-like expanse of high rises. 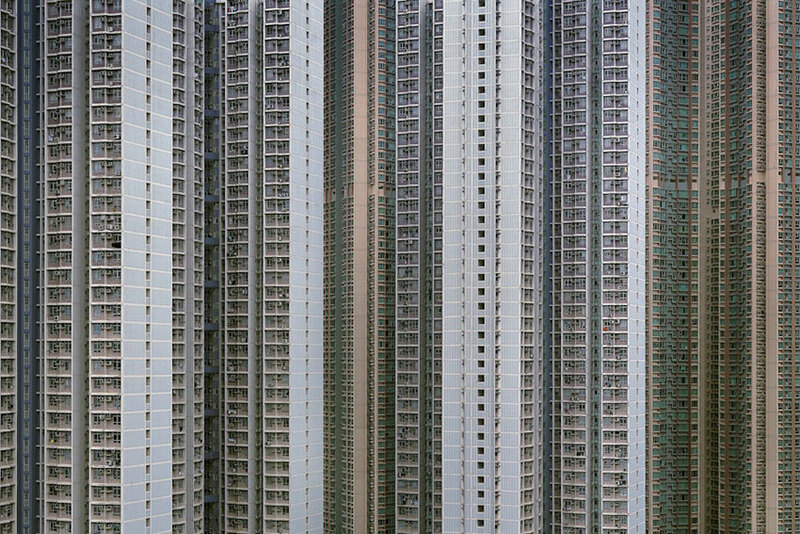 The work investigates the socio-cultural phenomena of Hong Kong’s rapid expansion and ever-expanding architectural anatomy, while also allowing for a unconventional peer into the inhabitants who occupy it. 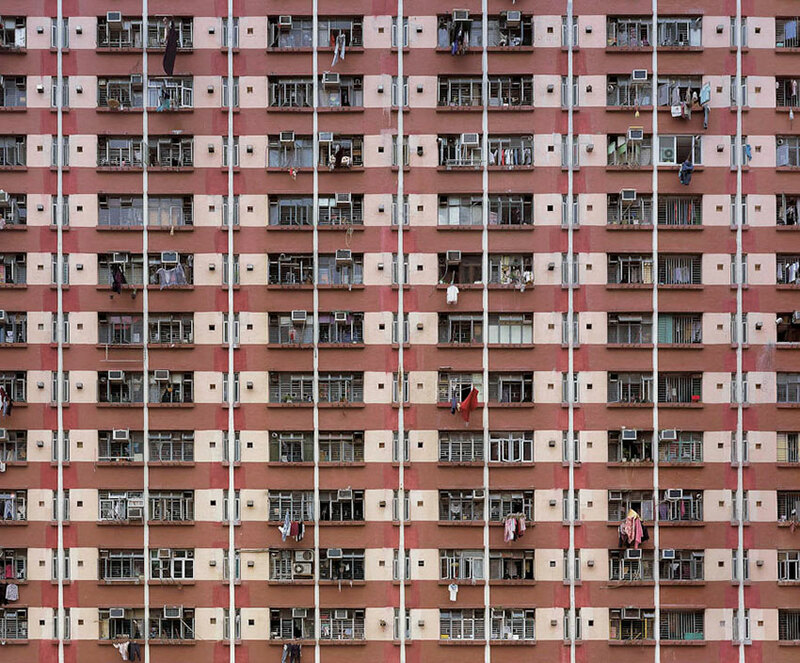 Wolf’s compositions are laced with evidence of human life — clothes lines, plants, mops and air conditioning units survey. 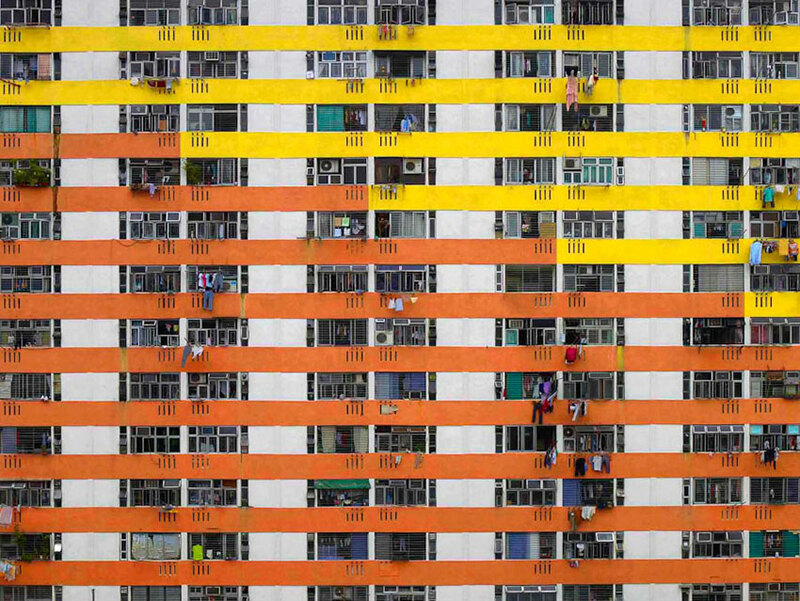 The photographs excluded the sky and the ground, thereby emphasizing the vertical lines of the buildings. 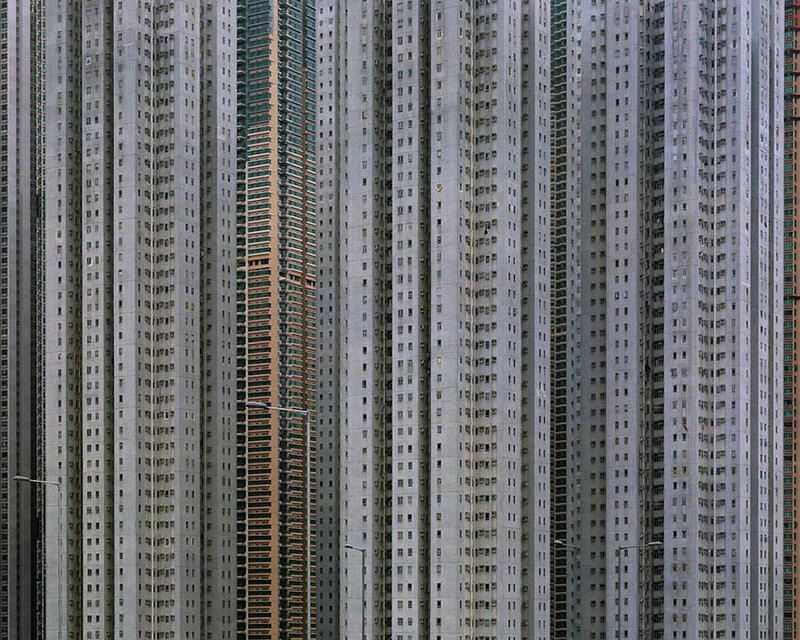 The images have been compared with those of Andreas Gursky and Candida Höfer. 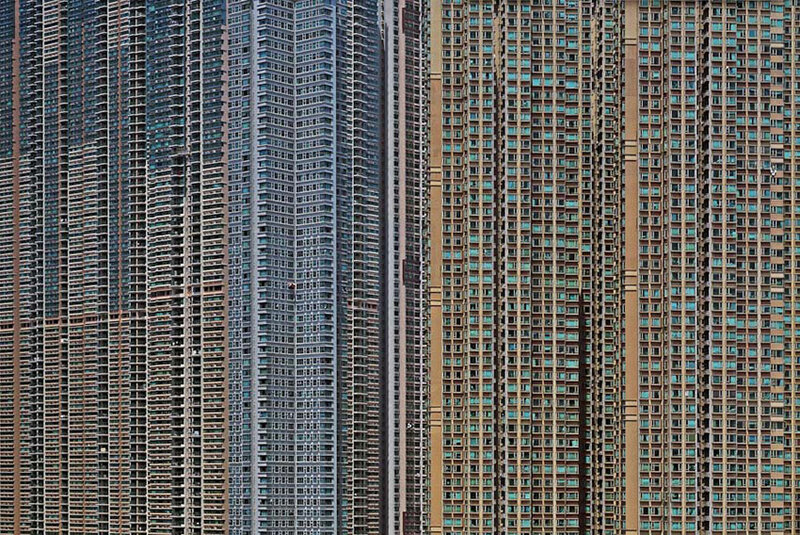 Cite this article: "Hong Kong “Architecture of Density” by Michael Wolf," in ArchEyes, June 3, 2016, http://archeyes.com/architecture-density-michael-wolf/.